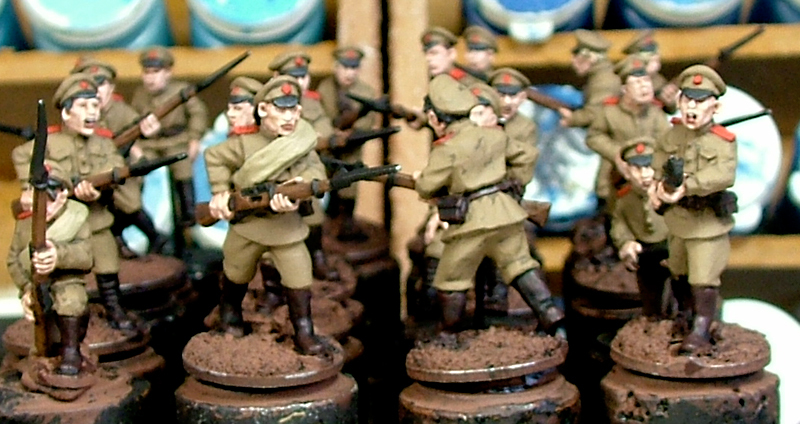 The beginnings of my VSF/BOB 'Russian' force, a mix of Brigade & Copplestone. Painted in a very, very, brisk manner, using a simple two layer style. How did you paint the boots? Very realistic leather. Great figures and superb Aventine Romans. Saw them on the Aventine site. I see Keith has posted my cav as well.